FIFTEEN buildings within Northern Ireland’s health estate present a “particularly high risk” to the lives of patients, staff and the public, a survey carried out for the Department of Health has established. The Detail has learned that the department’s latest Maintaining Existing Services survey uncovered serious risks including fire safety hazards, out-dated electrical systems, masonry falling from buildings, poor sanitary facilities and lifts at risk of failure. Department of Health officials admitted in a briefing arranged for The Detail yesterday that £5.5 billion is needed to bring the health estate up to modern standards. However, in a statement issued later, the Health Minister Edwin Poots insisted that the risks identified in buildings “are being prioritised and addressed diligently”. The Minister said that within the current budget period the department is investing around £950m in the major replacement of many of the facilities which are the source of the risks identified in the report. Mr Poots issued a detailed statement to The Detail after yesterday’s briefing which was arranged when we asked for a department comment on the findings contained in a confidential, internal report currently being sought by The Detail through a Freedom of Information request. Since this article was published, the Department of Health provided us with a copy of the full MES report. We have attached it as a file below this article. The department said in its FOI response letter that it concluded “there is some risk that release of the document could endanger the physical or mental health of individuals.” However, it concluded the balance was in favour of release as long as context was provided. Royal Belfast Hospital for Sick Children: fire doors do not comply with building regulations, asbestos is present, there are Legionella risks and a leaking roof. The Royal Group of Hospitals’ Outpatients Building: incidents of falling masonry, asbestos present in building and fire risks. Panels and windows have fallen to the ground. The Royal Maternity Hospital in Belfast: falling masonry and electrical services at the end of their working life and fire risks. Belfast City Hospital’s Windsor House (acute mental health inpatients service): fire risks, poor sanitary facilities and ligature risks. Ulster Hospital’s main ward block AND paediatric block: increased risk of falling masonry, balconies in the paediatric block are not structurally sound, Legionella occurrences and risks in water storage and distribution systems, poor sanitary facilities, fire alarm system and emergency lighting system non-compliant with current standards, old lifts at risk of breakdown, clinical environment deficiencies and ligature risks in the main ward block’s A&E. 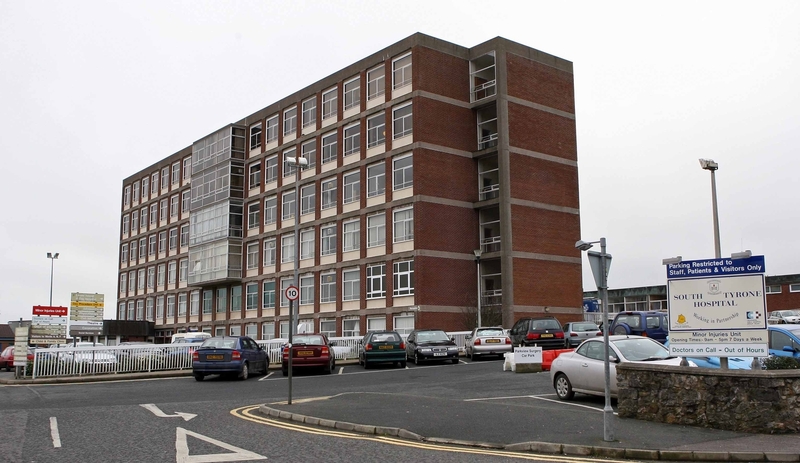 Altnagelvin Hospital in Derry: non-compliance with fire codes, boiler house wiring and switch gear in poor condition and at risk of failure and site sewerage pumps worn and at risk of failure. Craigavon Area Hospital: increased fire risks, inadequate sanitary facilities have increased the risk of infection and main theatres share ventilation plant leading to infection control risk. There have been a number of failed microbiological tests. South Tyrone Hospital: Major structural repairs to the building are “necessary and urgent”, increased fire risks and inadequate sanitary facilities have increased the risk of infection. The other buildings considered to present a high risk to the lives of patients, staff and the public are the Royal EENT, City Hospital’s Gardiner Robb Building, City Hospital’s Dufferin & Ava Buildings, Musgrave Park Hospital’s Rheumatology building and Forster Green Neurology Wards. Ironically, some serious fire hazards were identified at the NI Fire and Rescue Service’s vehicle maintenance garaging in Lisburn. This includes a lack of fire compartmentation increasing the risk of fire spreading, fire doors not complying with building regulations and inadequate fire signage, means of escape and lighting. Cables in the electrical system were also identified as a potential cause of fire. The department’s own comments on the current state of the 15 buildings can be read by clicking here. This update includes information on planned building work and works carried out. In some cases, resources have been allocated while others are awaiting approval. For example, a business case process is under way in relation to the development of a new Children’s Hospital at the Royal in Belfast, to be delivered over the next few years. 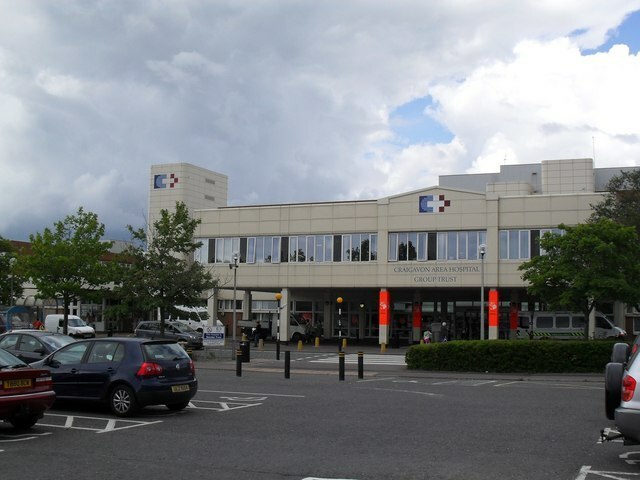 And a phased relocation of services is planned from the Royal’s Outpatient building over the next few years after which the current building will be demolished. Funding has also been allocated for a new Maternity building at the Royal. We have summarised some of the key findings from the MES report in the table below. 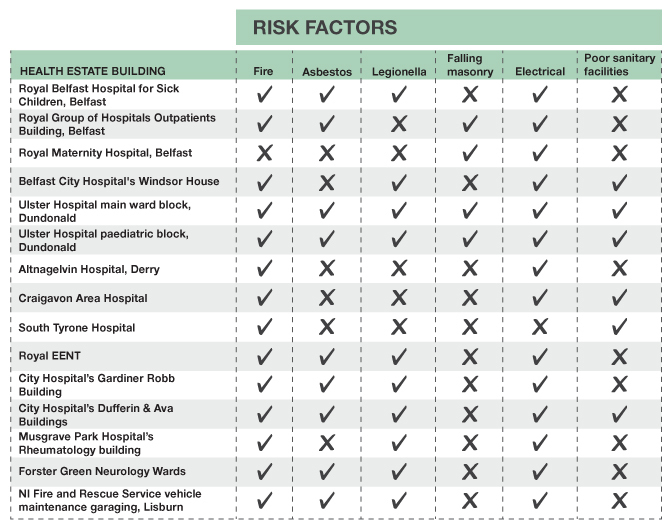 A further 17 buildings within the health estate are believed to have been identified as having significant issues that affect the safety of patients, staff and the public – but not as high a level of risk as the 15 buildings above. In relation to the asbestos and Legionella risks identified in the report, a department spokesman said: “References to Legionella and asbestos risks in this report are primarily internal notes identifying the fact that asbestos is present in the building and also that, because of the nature of the somewhat dated plumbing installations, there is a risk of legionella. When we contacted the Department of Health yesterday to ask for a comment on the report we were invited to attend a briefing at Stormont’s Castle Buildings. The meeting was led by the Chief Estates Officer John Cole, who is also the department’s deputy secretary. 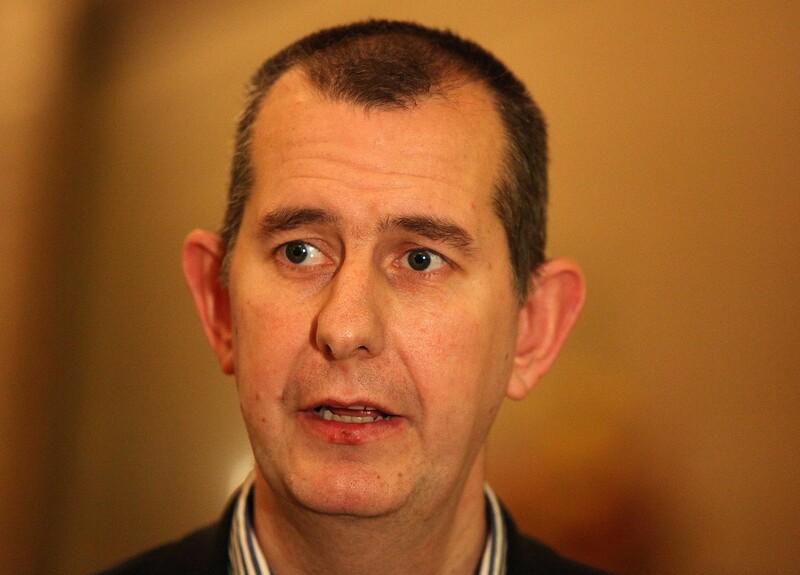 It was confirmed during the meeting that Health Minister Edwin Poots had not seen the MES report at that stage. The report is due to be used to help develop a strategy which would then be presented to the Minister and later discussed with Executive colleagues. An overview report – the ‘State of the Estate’ report – is currently being produced and is due for completion at the end of September. Mr Cole said: “One of the things that it is absolutely essential is to maintain public confidence in the ability of the health service to provide safe and efficient health services. “As part of our processes, we obviously have to assess risk at different times to make sure that risk is being appropriately managed. One of the mechanisms we use to do that is through preparing this Maintaining Existing Services report. Mr Cole said that health buildings here were under-funded for decades but that the department’s capital budget had risen from around £63m in 2000 to around £200m a year in the current budget period. This includes additional money from the Department of Finance and Personnel after the budget settlement. He confirmed that around 35% of buildings in the health estate are over 50 years old, 67% are over 30 years old and some buildings are as old as 150 years. The Deputy Secretary continued: “Since we got the injection in capital we have been spending more money on the estate and trying to catch up with the backlog and that has allowed us to make inroads. “However, we are trying to address a major deficit over many decades and as a result there are buildings which just by their age are no longer really fit for purpose. “We haven’t got enough money. The approximate assessment of how much it would cost to bring all the buildings up to a modern standard would be £5.5 billion. The MES report is one of a series of documents which comes forward to the department’s Capital Planning Group which prioritises how capital funding is spent. Mr Cole said: “Patient safety is absolutely core to us and one element of this is patient confidence in the estate. We need to make sure that people don’t have worries about coming into hospital. “The MES paper is used for internal purposes and has not historically been made available because it could be used inappropriately to create unnecessary worry in people. “In some parts of the report over-dramatic language has been used. The paper was not one for public circulation. We did not go back and say ‘take that out’, maybe we should have. He also confirmed that “other methods”, including public/private partnerships, are being considered as a way of funding some capital projects. “We have one of the biggest public sector estates in Northern Ireland and it does need more money than we are able to put into it at the moment. “We try to use the money we are getting in the most effective way to deliver a safe estate for patients who are currently in it but also to create an estate that will be able to deliver the future health service in a way that is going to be the right for the people for Northern Ireland. The department’s press office subsequently issued a detailed statement from the Health Minister. He stated: “The safety and well-being of all who use the hospital estate is a key priority for me. “Each and every building whether new or old has inherent risks. The crux of the issue is whether those risks are properly identified and appropriately managed. “The Maintaining of Existing Services report is an internal tool used by professionals and policy makers within the DHSSPS in the ongoing and continuous process of identifying and addressing risks within the health estate. “The report’s existence is evidence that these risks are being identified, assessed and prioritised using information obtained directly from each organisation supplemented by other reports and assessments where available. “The recommendations and conclusions within the report have been instrumental in highlighting the need for both short term remedial investment and a sustained programme of building replacement which we continuously undertake. “Within the current budget period, we are investing around £950m in the major replacement of many of the facilities which would be the source of the risks identified in the report. Additionally, we have specifically allocated some £47m to address prioritised areas of risk identified within the report. “Decades of under investment in the HSC estate has brought us to this point. However, the current level of investment in Health Estates is, in real terms, now the highest since the initial period of investment in our new hospitals four to five decades ago. “I have received assurance that each Health and Social Care Trust Chief Executive has a system in place to ensure that estate-related risks are identified and appropriately managed. The risks identified are being prioritised and addressed diligently.